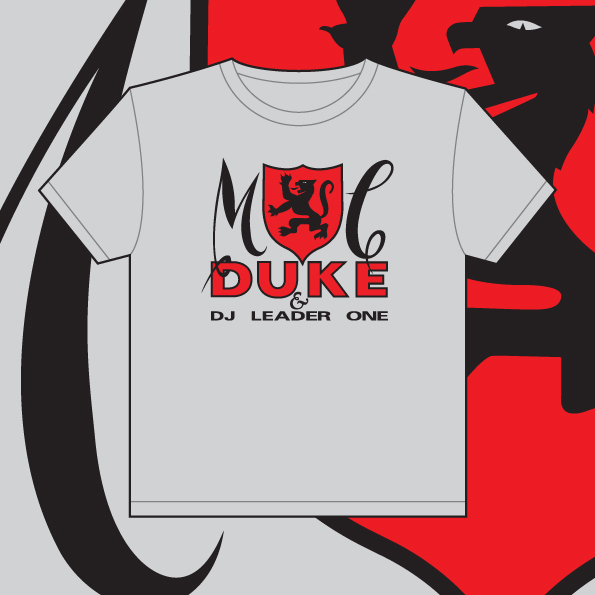 We at Hero Records are very excited that the mighty Style Warrior have announced their new MC Duke & DJ Leader 1 t-shirts which can be seen below and are now available for pre-order for the paltry sum of £15.99 with free worldwide postage. Click on the image for more details. This entry was posted in Cool Stuff and tagged DJ Leader 1, MC Duke, Music of Life, Style Warrior, T-Shirts, UK Hip Hop. Bookmark the permalink.